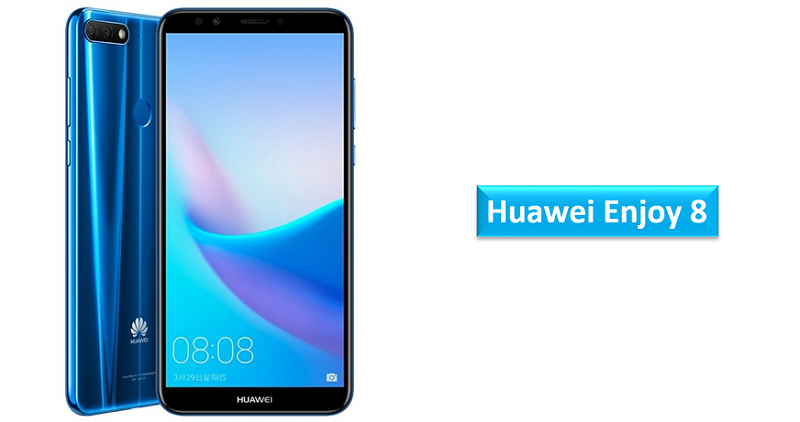 Huawei announced the company’s latest flagship smartphone Huawei Enjoy 8, in the ‘Enjoy series’ in China. It sports a 5.99-inch FullView 2.5D curved glass display with up to 4GB RAM. It is powered by Octa-Core Qualcomm Snapdragon 430 and runs on Android 8.0 (Oreo) with EMUI 8.0. It has a fingerprint sensor on the back and come with dedicated dual SIM and microSD slots. It has dual rear cameras primary is 13 MP with LED flash and secondary is 2 MP camera. On, the front side it has 8MP front facing camera with LED flash. The mobile sports 5.99-inch 18:9 FullView 2.5D curved glass display with a resolution of 1440 x 720 pixels. It is powered by Octa-Core Qualcomm Snapdragon 430 ( 4 x 1.2 GHz Cortex A53 + 4 x 1.5 GHz Cortex A53) 64-bit Mobile Platform with Adreno 505 GPU and runs on Android 8.0 (Oreo) with EMUI 8.0. The device comes in two variants 3GB RAM with 32GB internal storage and 4GB RAM with 64GB storage. The internal storage memory can be expanded up to 256GB using microSD. It has dual rear cameras the primary is 13MP rear camera with LED flash, f/2.2 aperture, secondary 2MP camera. On the front side it has 8MP front-facing camera with LED flash, f/2.0 aperture. The mobile supports 4G VoLTE, Wi-Fi 802.11 b/g/n, Bluetooth 4.2, GPS + GLONASS. It has 3.5mm audio jack, FM Radio, dedicated Dual SIM (nano + nano + microSD) and Fingerprint sensor. The mobile packs 3000mAh (typical) / 2900mAh (minimum) built-in battery. It has a size measurement of 158.3 x 76.7 x 7.8mm and weight 155 g.
The Huawei Enjoy 8 is priced at 1299 yuan (US$ 206 / Rs. 13,455) for 3GB RAM with 32GB storage. It costs 1499 yuan (US$ 238 / Rs. 15,530) for 4GB RAM with 64GB storage. The Huawei Enjoy 8 is already on sale in China. Share us your views on the Huawei Enjoy 8 smartphone in the comments section below.